With the holidays right around the corner, many of us are starting to think about gifts for the people on our shopping lists. Personally, I have always loved to give (or receive!) fragrances for the holidays. There’s something so exciting about discovering a new scent! In fact, I have built up quite the collection of fragrances over the years. 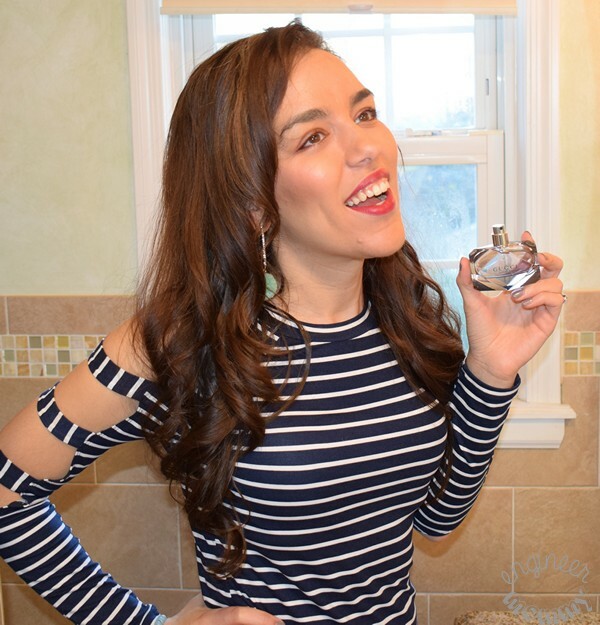 Whether you’re looking for a sweet or spicy fragrance, today I’ll be sharing some of my best recommendations from Kohl’s. 1. For the woman who loves a sweet scent! Know someone who is a fan of sweet-smelling perfumes? Then the Fresh Cream Fragrance from Philosophy is sure to be a winner! This delightful scent awakens the senses and rejuvenates the soul! Isn’t the bottle so elegant with its simple lines & clean label? 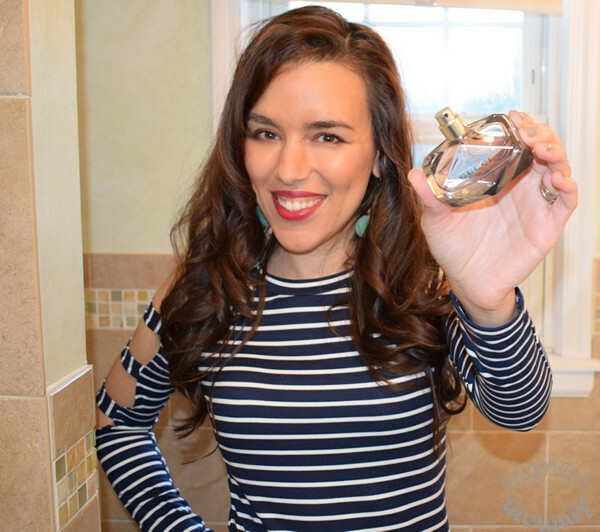 The Fresh Cream fragrance is noticeable but never overwhelming – I really love that! Since there are many other Fresh Cream products available (shower gel, body lotion, etc) at Kohl’s, you can even create a head-to-toe fresh cream scent! This Philosophy scent features notes of heliotrope, vanilla and macadamia. I love that this fragrance is delicate enough to wear on an everyday basis. 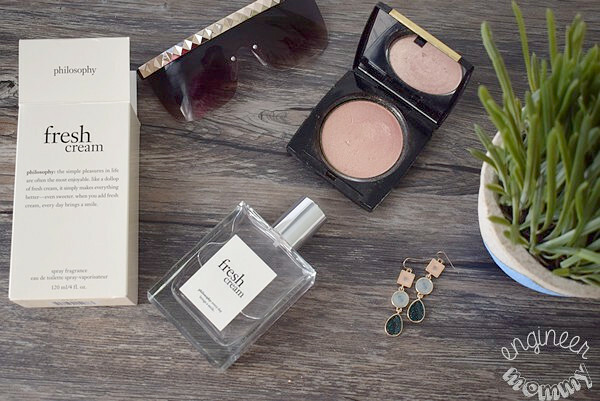 Even when my plans involve nothing more than taking care of errands around town, Philosophy Fresh Cream is one of my go-to scents! Perfect for elevating the everyday! 2. For the woman who loves a slightly spicy scent! Calvin Klein Eternity is the perfect choice for the woman who enjoys a fragrance with some spicy notes, such as patchouli, amber and musk. Eternity also includes notes of mandarin, freesia, sage, marigold, jasmine and rose for a very balanced, full-bodied scent. This romantic floral fragrance is actually the perfect combination of both modern and classic. Perfect for the woman who wants it all! 3. For the woman who loves a floral scent! 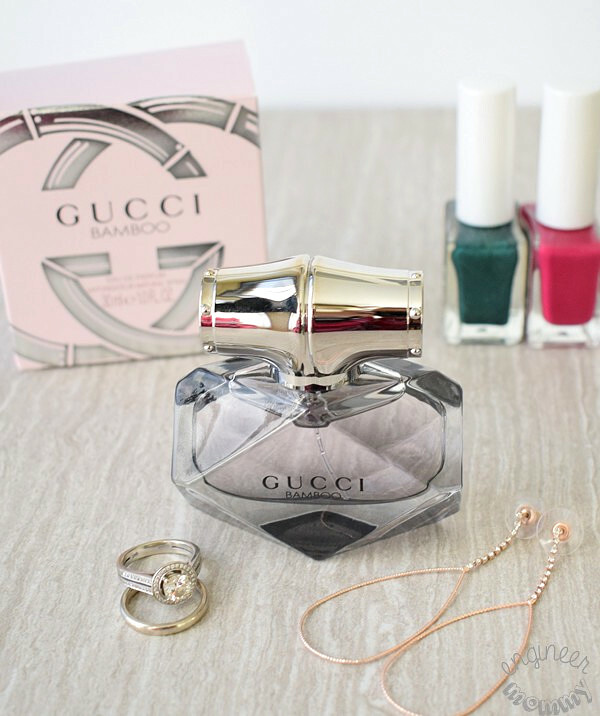 Perfect for ladies who love flowers, Gucci Bamboo is another favorite perfume of mine. This scent celebrates the multi-faceted nature of femininity… it’s simultaneously soft and intense! Isn’t the bottle downright gorgeous? Featuring an exotic combination of sandalwood, Tahitian vanilla, gray amber, Casablanca lily, orange blossom and ylang-ylang, this scent is definitely rich and inviting! 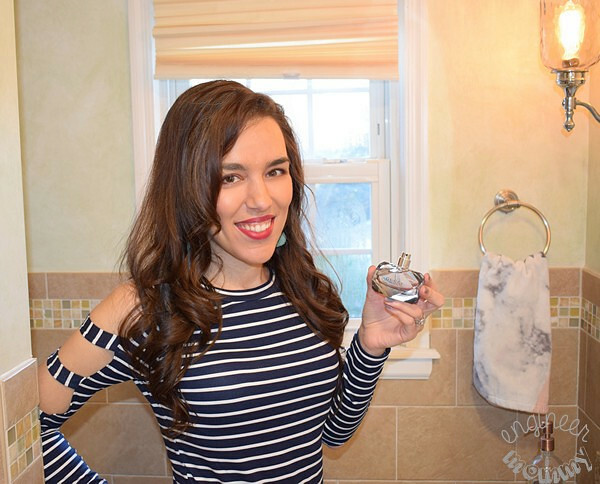 The glamorous bottle often sits on my bathroom counter top just begging to be used! In addition to floral notes, Gucci Bamboo also has woody notes to give the fragrance depth and balance. Gucci Bamboo is my fragrance of choice for all those special occasions, such as date night with the hubby or girl’s night out! 4. For the beauty guru on your list! If you know someone who loves skincare, makeup or hair care products, consider a Beauty & Fragrance Gift Set from Kohl’s. These sets include a variety of makeup items, skincare products, hair care essentials and more. It’s the perfect solution for all those ladies that enjoy a little pampering and self-care. There are so many Beauty Gift Sets available at Kohl’s so you are sure to find one that fits your needs & budget. Pick up a few fragrances from Kohl’s this year. Have you ever tried any of these fragrances? Do you also love to receive fragrance as a gift? I don’t typically wear perfume, but I do gift some to my Nana every year. You have a few great ideas here. My husband is the only one who ever buys me perfume. He know what I like to wear. Kohls has a great selection if your looking for a new perfume. I love these! I’ve always been a huge lover of fragrances, and I always adore finding a new one under the tree. I love my fragrances and I love to switch it up. There are a couple I would like to try! When it comes to perfume, I like a very light, clean smell. Looks like Kohl’s has a great selection. I keep trying to think of fragrance ideas for myself, I could do with buying another one as I’m nearly out. I may have to think about treating myself or popping some of these on my Christmas list. I will have to check this out for sure. I shop at Kohl’s often. In fact, I’ll be shopping there soon because I have Kohl’s Cash! So maybe I’ll get this. Great ideas! I love giving fragrance. And that Philosophy scent is one of my favorites. So good! These are such pretty options. I will have to get to the store to test them myself! I love Fresh anything! Ooo you have some ones on here that I would like to try out. I haven’t worn fragrances in so long, it’s nice to have a guide to help pick some out. I stopped wearing perfume when I had kids and it would be fun to receive some as a gift or give some as a gift. I like Philosophy Fresh Cream. It is my favorite scent. I had no idea that Kohl’s sells it now. I always forget about the wide variety of products Kohl’s have. I can’t wait to check out some of these scents. I’m not a make-up kind of gal but I love perfumes. I can’t go anywhere without wearing one. You can never get wrong to give fragrance as a gift for a women. I personally collect some of my favorite scents. I think we girls can get enough of fragrance. Love them as gift any day. 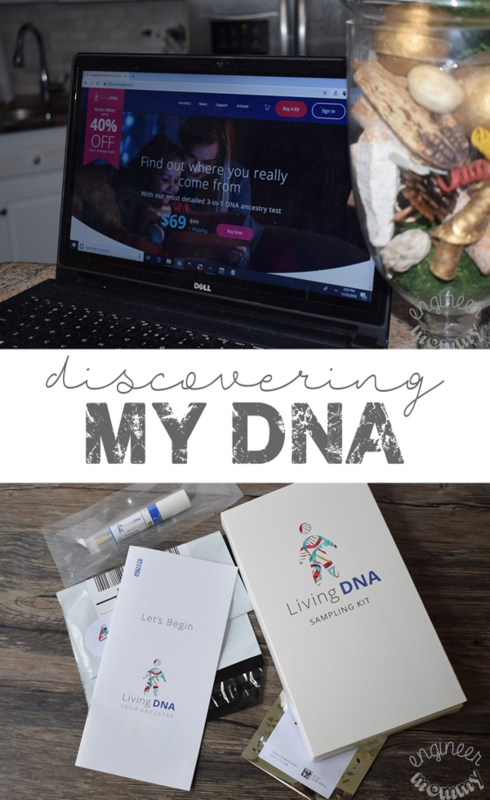 I will share this post with my hubby so that he can select something for me.